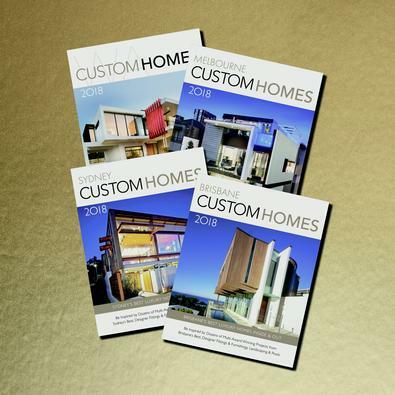 For 14 years Custom Homes Magazines have been Australia’s leading source of luxury home inspiration. With localised content in each of our Brisbane, Melbourne, Sydney and WA editions you’ll derive inspiration from the best in Australia in our showcase of multi-award winning luxury home inspired projects. If you’re building a new custom home we’ll help you locate suppliers for your project including architects, builders, custom pool builders, landscapers, luxury furnishings, fittings and more. More like books than magazines our collectors style publications have a luxurious high quality, coffee-table style finish that emulates the quality of the projects we feature inside. Be the first person to tell us what you think about CUSTOM HOMES MAGAZINES BUNDLE and you'll save $5 on your next purchase!